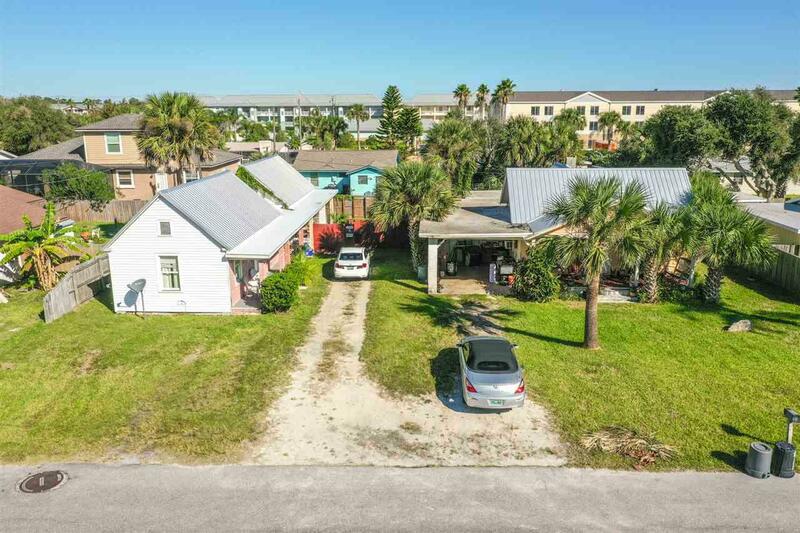 Fantastic investment opportunity in the heart of St. Augustine Beach. Unique offering of two platted lots only one block to the beach. 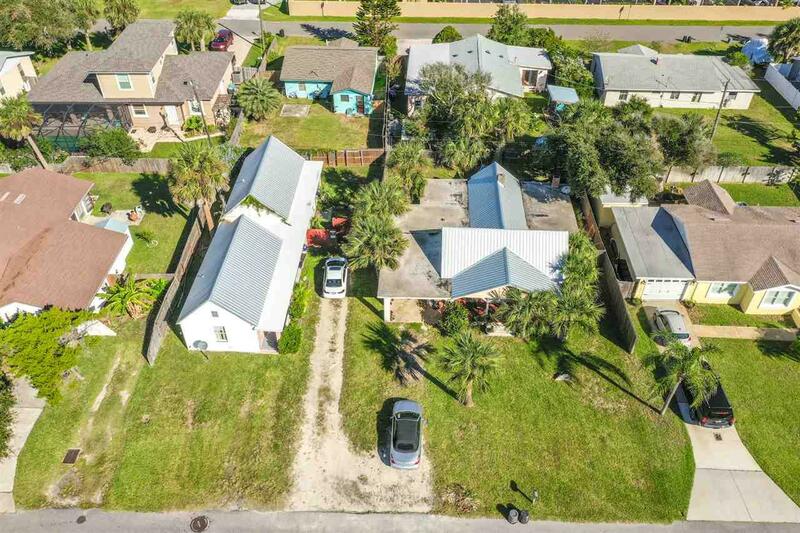 Currently configured as a single family home on one lot and a duplex with one bedroom units on the adjacent lot. Both buildings had new metal roofs installed in 2018. 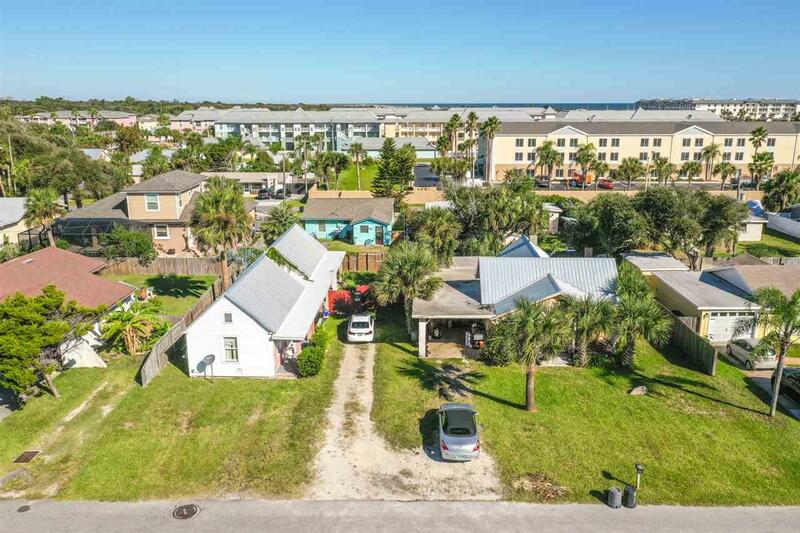 Many options to consider - redevelopment, remodel or make it your own beach compound with room for all. 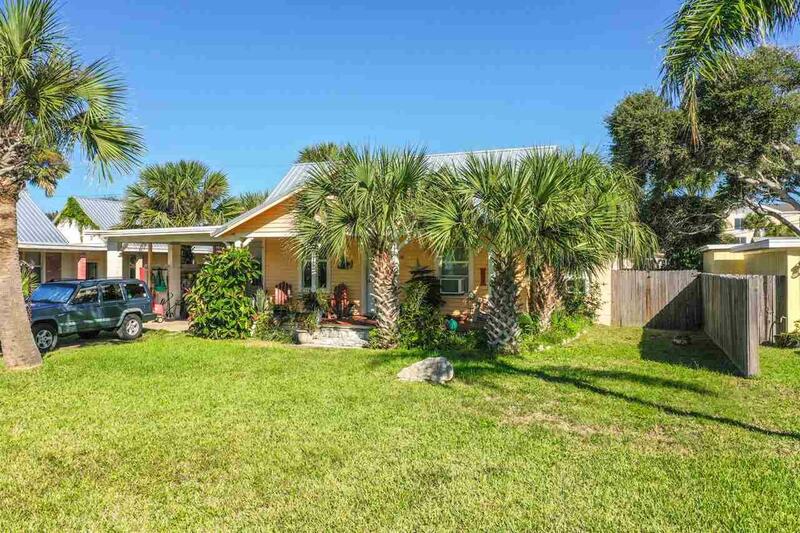 Excellent St. Augustine beach location, walk to local restaurants or the market at the pier.